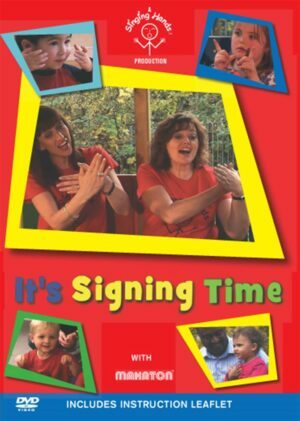 This follow-up to our popular It’s Signing Time DVD features even more signs from the Makaton Vocabulary Language Programme. This DVD will enable you and your child to learn lots of great signs for animals, transport, the alphabet, colours, numbers and many other concepts in a fun and engaging way. 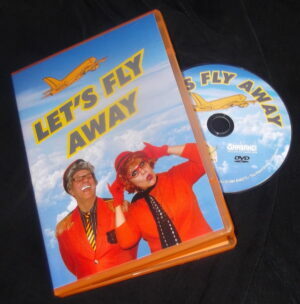 Produced in association with the Makaton Charity, this DVD includes some of our favourite songs about pirates, scarecrows, the weather and so much more. Come and join us singing on our big red bus, at school, at nursery and marching round the park! Since one of my three daughters was diagnosed with autism my wife and I have tried many educational aids to try to encourage her speech, communication and interaction. None have been so much of a success as the dvd’s from Singing Hands. 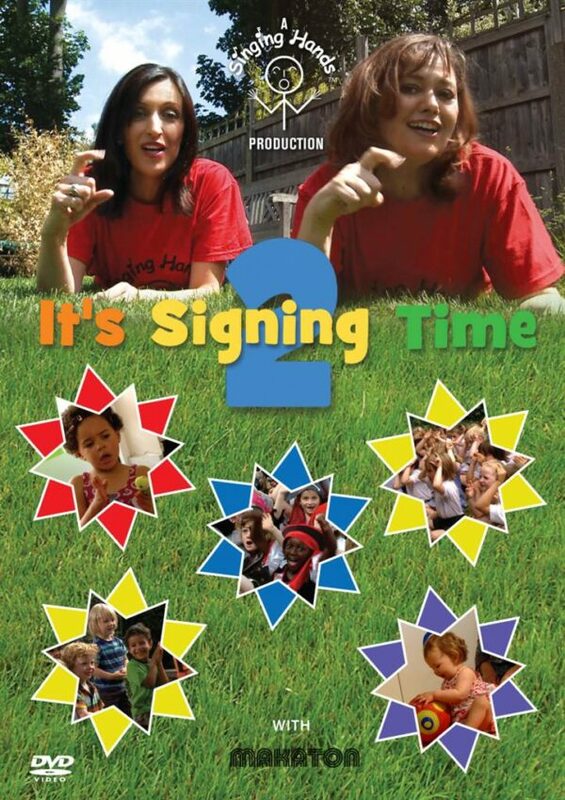 In truth, a hit with all of my children this dvd is just as good as the fantastic first and introduces you to makaton sign language through an interactive ‘sign-a-long’ dvd. This method of comminicating through simple signs has been a great aid to my daughter and myself alike as she quickly picked up key signs and actions which she adopted to use everyday when trying to communicate. For someone in my circumstances this was a fantastic feeling and for anyone in the same position I would recommend this dvd. But as I said Singing Hands are a hit with all of my children and it’s easy to see why. In teaching this language of signs my children do not feeling like they are learning, more joining in with the great fun and enthuiasm that Singing Hands bring when singing and signing to well known songs and nursery rhymes. It is perfectly pitched at a young pre-school audience, musically and visually with a lot to keep children engaged right from the start to its finish after around an hour. My three daughters are seperated by 4 years and yet all enjoy this equally and although I may not have discovered this dvd if it were not for the reasons stated above, that would certainly not mean I would not recommend this for all young children if my crew are anything to go by. I can only imagine this second installment will have just the same appeal and longevity as the first which has only very occasionally left our dvd player in the last 12 months. I am thrilled a second dvd has been made and hope a third is not far away. Thank you Singing Hands for what you produced with this dvd, it brings a lot of joy to my happy little family. I absolutely love this DVD and it’s predecessor. The ladies singing and signing are very expressive which makes it easy to watch with my baby. She is just four months old and is spellbound when I play it for her, I think it’s the combination of the singing, primary colours, the children and babies and the tinkling noise between each song. If she can pick up some sign language before she learns to speak that will be great, if nothing else it makes singing more interesting. Highly recommend. GAHH!!! My son loves this DVD so much we can often watch it 3 times over before we’re out the door in the morning. He knows the sign for signing now so there’s really no excuse i can think of to pretend i don’t know what he’s asking me! My son at 16 months old is obsessed with this dvd. He loves joining in with all the actions. Love it. Highly recommended, great for the nursery where children can learn and use Makaton and enhance communication, whilst having fun! Delivered very quickly. Watching our grandsons face when we first played the DVD was just magical. Can not rate this item high enough. We have all the other Singing Hands dvds as my son loves them and asks for me to put them on all the time. 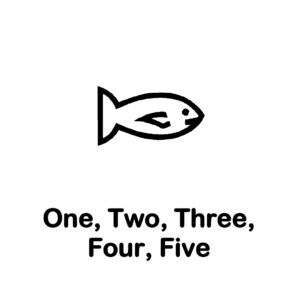 This is just as good as the others – It’s not just helping my son with his Makaton but the whole family. It’s fun and very catchy! My son especially likes watching everyone on the double decker bus singing the wheels on the bus! What’s also great is it has video images of children with special needs AND mainstream children singing and enjoying it together – just as it should be – fantastic! I can’t recommend it enough. Please please make another one!